Thoracic outlet syndrome is a medical condition in which nerves or blood vessels are compressed due to an inadequate passageway or "outlet" between the neck base and the armpit. The outlet is a small opening between the collarbone and first rib, and it is the site for several important nerves that help with upper body muscle control. Symptoms can include impaired circulation to extremities, neck pain, arm pain, numbness or tingling in your fingers, and shoulder pain. 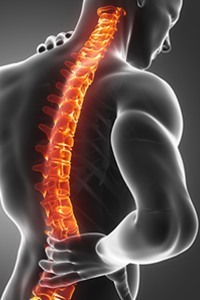 The syndrome may be caused by work conditions, such as desk jobs, car accidents, repetitive motion, elevated arm stress, or heavy lifting, in which the weakened shoulder muscles cause the bone to compress the nerves underneath. If you suffer from thoracic outlet syndrome related to your Boston job, you may be able to recover workers' compensation benefits with the assistance of an attorney at Pulgini & Norton. Thoracic outlet syndrome can be more difficult to diagnose than some other shoulder conditions, and it may be a challenge to prove that it was caused by work-related conditions. Often, claimants have a variety of symptoms. If the thoracic outlet syndrome is job-related, an employer's insurer must pay workers' compensation benefits regardless of fault. Unlike in a personal injury civil lawsuit, your ability to recover is not reduced if, for example, you had poor posture at work and this contributed to your thoracic outlet syndrome. However, an insurer may demand an independent medical exam. Although this exam is called "independent," many insurers retain doctors whom they know are conservative or tend to be suspicious of claimants. Doctors in turn are aware that insurers are unlikely to retain them if they too often confirm workers' injuries or illnesses. Accordingly, many insurers use the evaluation from the exam in order to support the termination of benefits or deny a claim. In some cases, a worker has a pre-existing thoracic outlet syndrome that is aggravated or exacerbated by a work injury. In that situation, the insurer may try to deny the claim on the grounds that the thoracic outlet syndrome is a pre-existing condition. In the dispute process, the insurer bears the burden of proving that the symptoms are based on the pre-existing condition. If the worker does have a medical history of thoracic outlet syndrome, he or she will have to show that the pre-existing condition combined with a work injury and that the work injury is a "major" cause of the disability. "Major" does not require that the work portion of the disability is primary or predominant. If you are able to prove that your thoracic outlet syndrome injury is work-related, you can potentially recover medical costs, lost income, and sometimes retraining expenses or a lump sum settlement. Generally, the amount that you can receive to replace wage loss when you are totally disabled is a portion of your average weekly wage. If you suffer from thoracic outlet syndrome that you believe was caused or exacerbated by a job in Boston, it is important to enlist an experienced workplace accident attorney. Pulgini & Norton represents injured individuals in Braintree, Brookline, Lowell, and other Massachusetts cities. Call us at 781-843-2200 or contact us via our online form for a consultation.